The difference between a workshop and a tour is that a workshop places more emphasis on practical instruction, including classroom instruction and critiques almost every day. For that reason, workshops generally take place in one specific area, for example, Taos. 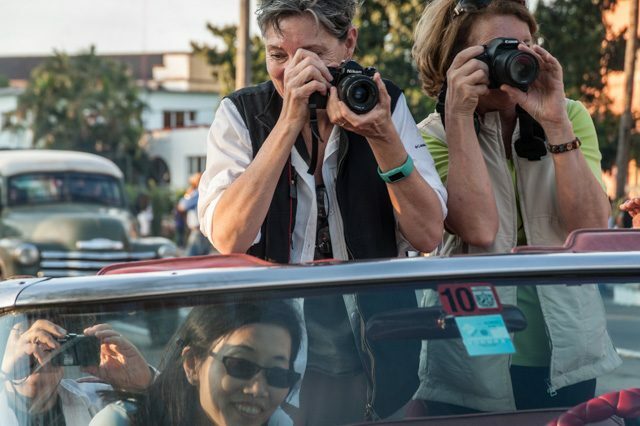 A tour is a journey of discovery that take you to a variety of great photographic locations with wonderful opportunities for informal, hands-on learning with Steve. Learning takes place through personal tutoring sessions, discussions around the dinner table, impromptu lectures or demonstrations, and while photographing in the field. A critique is usually held during the middle of the week and at the end of the tour. Steve has years of experience in photographic education, and his own unique philosophy and style. He will help you see the world with new eyes, and create images that reflect your unique experience. Both a photography tour and workshop will include time for photographing but a tour will usually include more and varied locations. A photo workshop spends more time in classroom instruction and critiques. 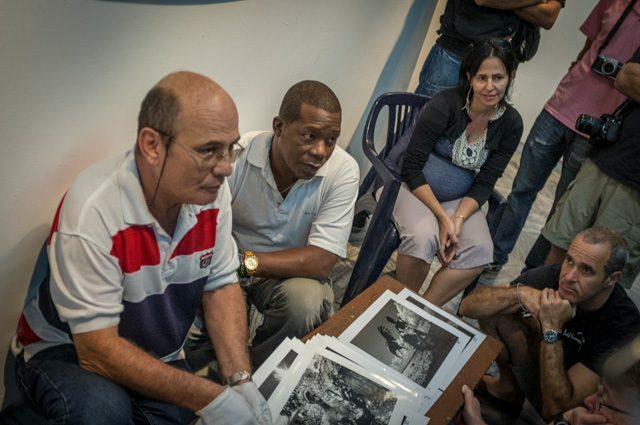 Cuban photographer, Jose Marti, discussing his work with students.